LeBron James only needed minutes on his Los Angeles Lakers debut to deliver some poster-worthy moments. James produced two massive dunks inside three minutes against the Portland Trail Blazers on Thursday. The 33-year-old scored 13 points in eight first-quarter minutes as the Lakers trailed 34-31. 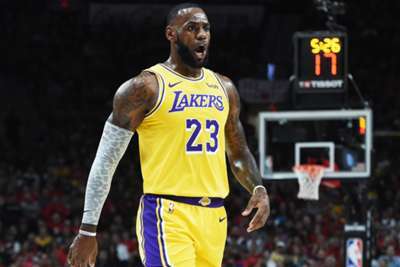 James, who signed with the Lakers in July, perhaps exceeded expectations in the opening quarter, even by his own lofty standards. LeBron James THROWS IT DOWN for the @Lakers!